Last weekend, I helped Madison navigate her arms through the sleeves of her coat while Allison placed a red ribbon in her hair holding back the strands too long to leave alone yet too short to trust behind her ear and we all three made our way to a tree lot. Once there we weaved ourselves in and out a maze of green limbs attached to trees taller than us and a few smaller than us until Allison found the one. With her left arm elbow deep in a tree destined for our living room, she glanced my way welcoming my opinion although the light in the brown eyes she batted was certainty instead for she had already decided that tree was ours. …we had an evening of light stringing and ornament hanging ahead of us. 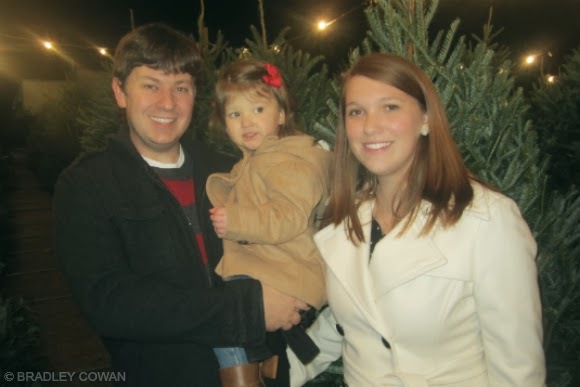 Although this is technically Madison’s third Christmas, in a way it feels like the first. She’s more aware. She’s more involved. She’s more excited. Consequently, so are we. 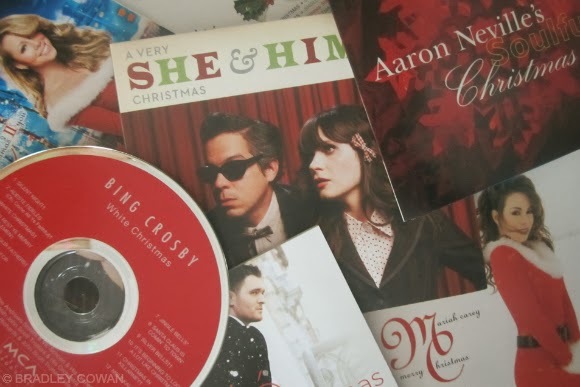 With Christmas albums in rotation, we poured ourselves a glass of wine (a cup of milk for the little one) and slipped into our pajamas gravitating towards the smell of Christmas occupying a corner of our home. 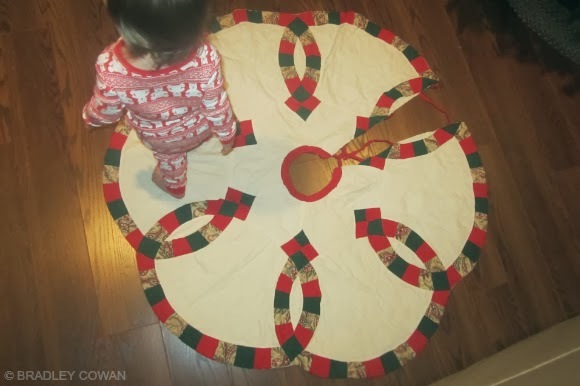 I watched as a barefoot Madison listened to her mother explain the importance of layering decorations for dimension. I watched as a little girl hung onto every word my wife handed her like a fragile glass ornament and I felt her enthusiasm fill the room we were standing in. 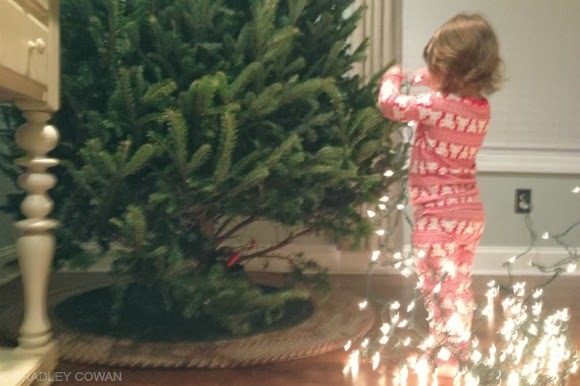 Christmas as a parent is far more enjoyable than it ever was as a child. Strand by strand, the three of us helped light this tree before turning our attention towards the boxes stacked one on top of another at the other end of the room. We removed lids to reveal tissue wrapped memories in the form of glitter dusted spheres and shiny crystal hearts. Madison’s eyes lit up with every ornament and the accommodating stories we told as we pulled them from the corners of their box and our mind. 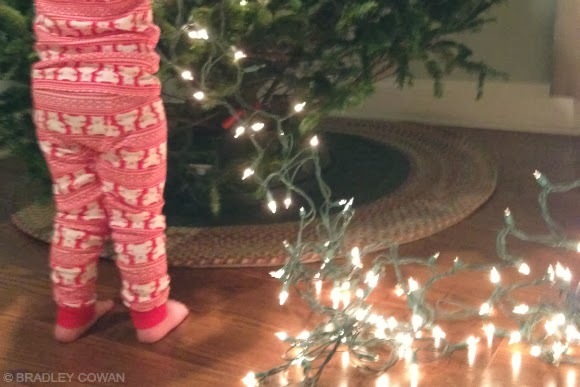 She patted her feet across the bare planks of our wood floor to grab another before heading back towards the tree inquiring out loud “where we gon' put it?” as she tried her best to catch a limb with a loop. It was in that moment I realized Allison’s advice of layering reached further than simply wrapping the tree with ribbon before hanging ornaments and only after stringing lights. It was in that moment I looked at the decorations scattered on our coffee table and lying on our couch and noticed the many layers of the holiday itself. Ornaments we purchased together and ornaments for Madison. Ornaments from our childhood and ornaments to symbolize hers. Ornaments from our parents and ornaments from theirs. 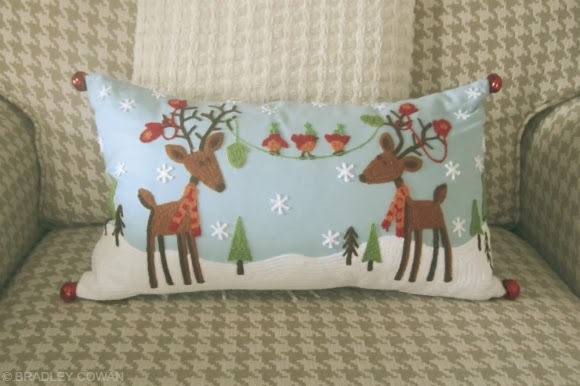 It was in that moment when I felt the presence of my late grandparents more than ever before; two people I think about often, but find myself missing the most at Christmas time. 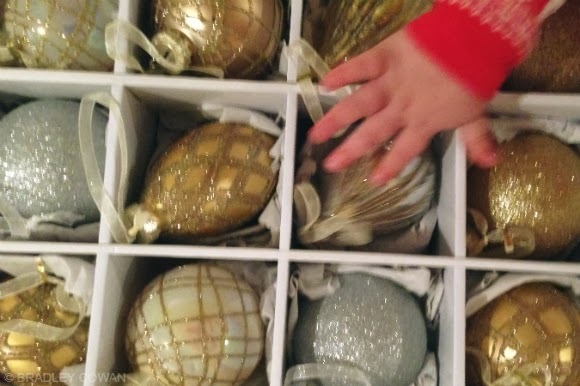 Many of the ornaments remind me of a time years ago when my grandmother would place them in my open palm one at a time transferring them from her own hands, wrinkled from a lifetime of use yet soft as a favored blanket. 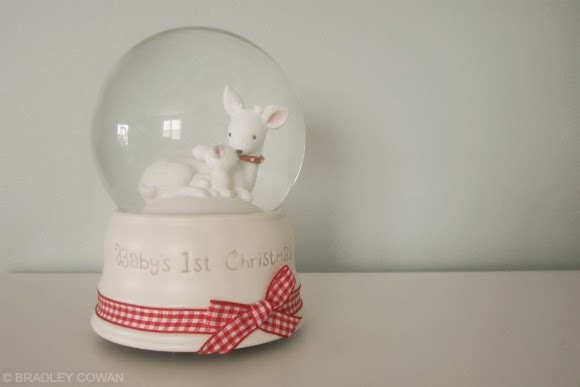 The numerous hours over the course of my early years spent finding a perfect spot to hang them all surround me like the falling flakes of a snow globe, collecting one by one at the bottom kept forever until the next time something stirs them up again. 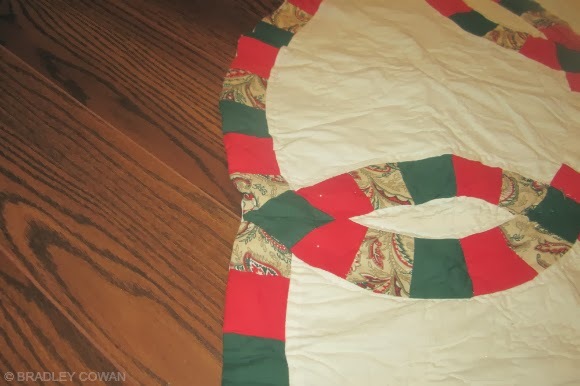 Madison never received the opportunity to meet her great-grandparents as they passed before she was born, but watching her smile as I unfolded the tree skirt that belonged to my grandmother and placing the Santa statue that stood on their table upon our own was enough comfort to know they’ve met her. 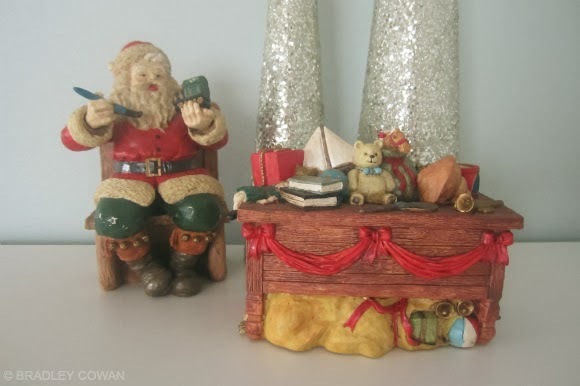 It felt as if they watched as we decorated our house for a holiday cemented in family traditions with family objects that sat by absorbing it all in year after year. 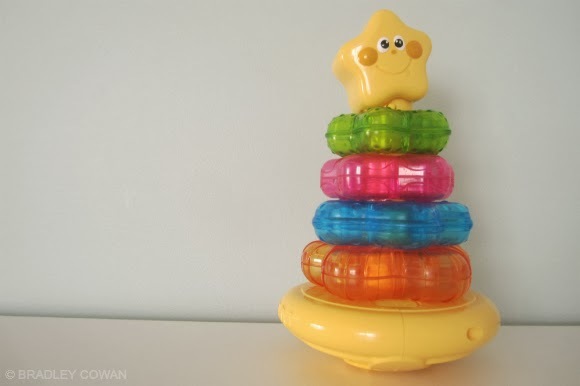 If I listened close enough I’m sure I could hear my Papa sarcastically claim to like the crooked star topper or hear my Grandma singing along to the Christmas carols crackling through our speakers. 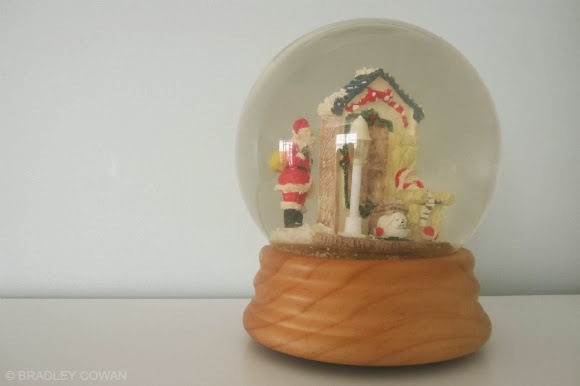 If I looked close enough I could probably see them standing behind Madison when I pulled the snow globe I wasn’t allowed to play with as a child from the box and tipped it over then right side up again so we could watch the memories fall one snowflake at a time. 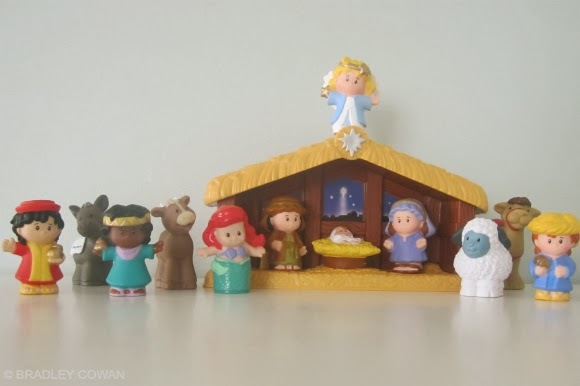 Love the Fisher Price manger scene! Interesting connection btw layering of decorations with layering of meanings of those decorations. It really is awesome when our kids get into holidays! Sure is boring for me without them! This. This is why I work so hard to start traditions within my family. I don't have a single ornament passed down from my parents, they don't have a single one passed from either of their families either. 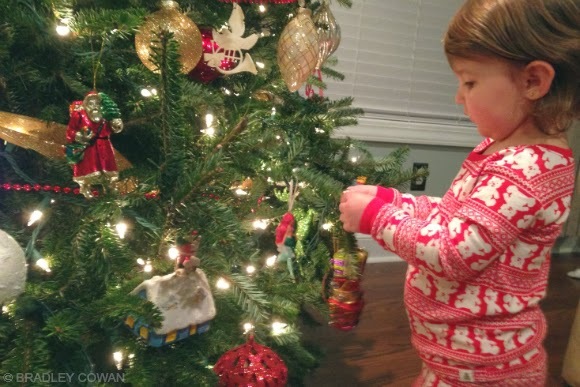 Even though all of our ornaments we have bought over the last 8 years are still in America, it makes my heart smile knowing that they are there, waiting for us to bring new pieces full of memories. 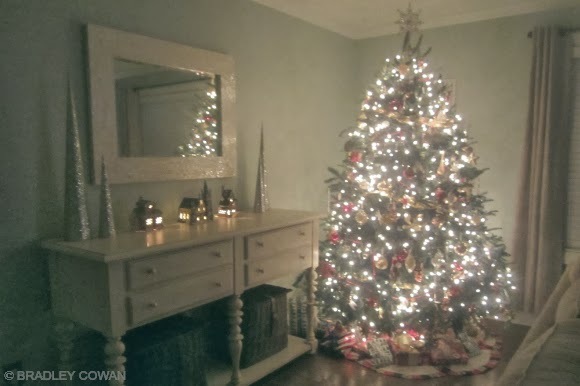 It's amazing to me how the same ornaments/decorations I thought were so unattractive and meaningless are the ones that mean the most to me as an adult. Hold on to the ones you have, your kids will cherish them someday!